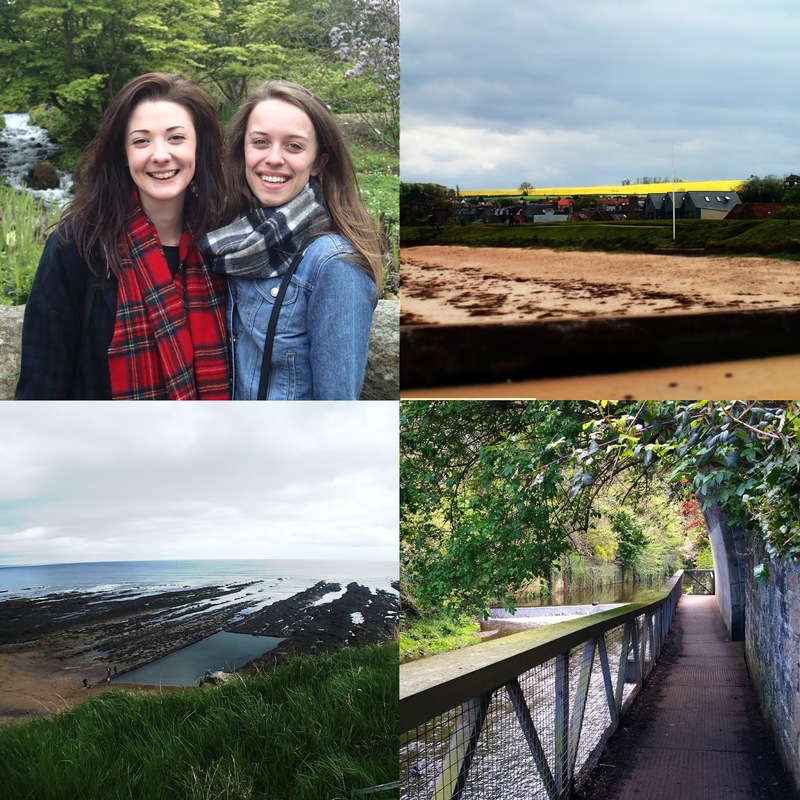 House of Ell: Travel Photo Capsule: Edinburgh! I'm back! It has been so hard to even know where to start every time someone asks me how my trip was. So many places and so many experiences, so quickly! So to make it easy, I've decided to start with the first stop - Edinburgh! My good friend Meg lives in Edinburgh, so we got to visit her and some of my other friends that I met when I lived in Europe! This was one of the highlights of the entire trip - Meg and the gang are so fun, and we got an amazing tour of Edinburgh and a day trip to St. Andrews, home of golf. I loved Edinburgh - what an amazing city! We saw the botanical gardens, Calton Hill, Dean Village, the National Museum of Modern Art, and many cute little cafes and restaurants. We went to a soul music night at a really great club, some funky bars. The landscapes in Scotland are beautiful, as are the old buildings and bridges and castles and all. A good long weekend in Scotland and an amazing jump start to our trip! So now I am home back in Canada! Looking to work and figure things out now that I am also a graduate (ouu, ahhh.) and just getting settled back here. It's good to be home and comfortable, back with my family and all. Looking forward to getting back to blogging and catching up on all your blogs too! ps. Meg: I miss you! You're the best hostess ever!